Like the other skill enhancement trainings in Pennsylvania (forensics, veterans, older adults) this training is designed to give the participants extra skills to specialize in a particular service area. If you are interested in brining this training to your area or if you represent an organization interested in sponsoring a training please contact us at: info@papsc.org. May 1-3, 2019 – Philipsburg, PA – Click here for more information. May 13-15, 2019 – Rochester, PA – Click here for more information. May 28-30, 2019 – Meadville, PA – Click here for more information. June 17-19, 2019 – Johnstown, PA – Click here for more information. June 26-28, 2019 – Danville, PA – Click here for more information. 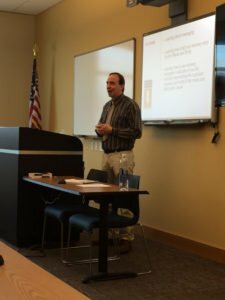 Several years ago an Office of Mental Health and Substance Abuse Services workgroup convened and created a training based on the minimum state requirements for documentation. Participants learn about the purposes of documentation, and examine and learn how to write a Strength Based Assessment, Individual Service Plan, and Progress Notes. There is also a section on Collaborative Documentation. May 31, 2019 – Meadville, PA – Click here for more information. A new Ethics training designed specifically to satisfy the Pennsylvania Certification Board’s new requirements is currently being piloted with the goal to roll out across Pennsylvania. The first pilot is being held as a part of the Southcentral Regional Continuing Education Day. See below for details. The PaPSC sponsors CEU Training Days in different regions of the state. Each region has a planning committee that coordinates a half day full of information, training, and networking. Click on the date of the training you would like to attend for more information and to register. You will know that registration is open once the date is in bold. There is a $20 fee for these trainings for non-members. Individuals who have a yearly membership or are part of a Corporate Membership will be able to attend for free. You will have the option of becoming a paid member of the PaPSC on the day of the event to avoid having to pay the non-member fee for the training day. Check back often for training opportunities as we update the page as soon as we are notified of new trainings. 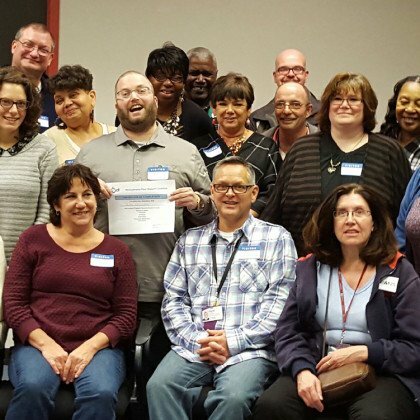 As a benefit of membership of the Pennsylvania Peer Support Coalition, you will be notified of these and other upcoming trainings and job opportunities. Join today. If you are providing trainings or continuing education opportunities of benefit to peer specialists in Pennsylvania and would like to have them posted on this site, email us. If you are interested in presenting a workshop at one of our Continuing Education Days please contact us.